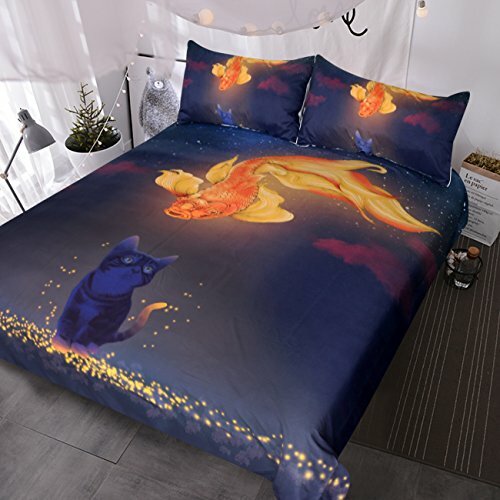 VINTAGE CAT PATTERN - A big eyed cat with a fire like tail and a huge goldfish behind. A little black humor but still cute. PERFECT FIT - This 3 Piece Twin Duvet Cover Set Includes: One Duvet Cover 68" x 86", and Two Pillow Shams 20" x 26" each. NOTE: Set DOES NOT include any INSIDE FILLERS AND ACCESSORIES.